Orangeries are versatile living spaces. They boast the combined features of extensions and conservatories because they are partially glazed and constructed with solid pillars. This creates a room that is cosier than a conservatory, but one that still optimises the influx of natural light into your home. Traditional conservatories are sometimes only used in the Summer. Orangeries can be used all year round, thanks to the way that they make even large spaces feel cosy. In effect, they create a brand new room for your home, making Christmas entertaining, family visits or even just relaxing easier. The reason why an orangery can be used all year round is generally down to its thermal performance. Whereas dated glazed extensions have poor energy efficiency and lose heat, orangeries made with modern uPVC or aluminium are effective in maintaining temperatures, whether you are turning the thermostat up in Winter, or want increased ventilation in Summer. By not being susceptible to the extremes of British weather, orangeries can otherwise be seen as a bespoke new extension that lacks bulky features and instead boasts an elegant design. This makes them a suitable addition to any property, however traditional or contemporary. Put simply, an orangery can create a brand new, warm living space to enjoy over Winter. 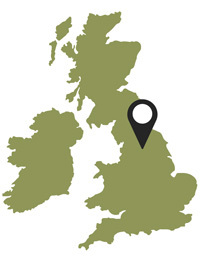 If you live in the West Yorkshire region, Alpine Glass can install a bespoke orangery for your home, with our made-to-measure design service. All of our products feature energy efficient glazing and use the highest performing materials and technologies. 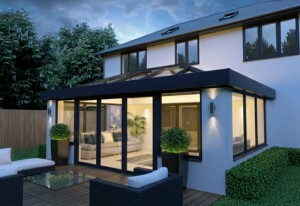 This includes the innovative Skyroom orangery, which boasts a minimalist design and glass lantern roof. It is a modern version of a traditional brick or mock orangery and is made using an ultra slim aluminium frame, engineered to support large glass units for a beautifully light and airy living space that still retains warmth when it’s cold outside. So before you start dreading the thought of all of the extended family coming over for Christmas dinner, treat yourself and enquire about a bespoke new orangery from Alpine Glass, the experts in combining product quality and superior customer service. This entry was posted in Orangeries by Alpine Glass. Bookmark the permalink.